Hugh joined the fellowship from his post as Senior Policy Advisor to the Chief Executive at The King’s Fund in London, an independent think tank working to shape health policy and practice in England through research and analysis. Hugh has published research on range of topics, including NHS reform, integration of health care and social services, and opportunities for health care systems to address the social determinants of health. He led The King’s Fund’s research on regional planning processes in the NHS, provided policy advice to the NHS and government, and carried out a review for the Department of Health on measuring the performance of local health systems. Previously, Hugh worked as a consultant on care improvement in the NHS, and managed Sir John Oldham’s Independent Commission on Whole Person Care (2013-14). For his fellowship research, Hugh was based at the University of California, San Francisco, and Berkeley. His work focused on approaches to addressing patients’ social needs, like housing instability or food insecurity. Hugh chose to study these issues because there is growing interest in the in the United States in the role of health care systems in addressing patients’ unmet social needs—and the potential impact this could have on health outcomes and costs. The same is true in the NHS in England, as well as in other countries. Yet despite the large body of evidence documenting the impact of the social determinants of health, far less is known about what health care systems can do to address them. His project aimed to understand how new approaches to address patients’ social and economic needs are being developed within the US Medicaid system—looking in particular at approaches in California and Oregon. His research focused on the kind of social supports being delivered by health care organizations, how they are funded, and the contextual factors shaping their implementation. Hugh’s research documents the wide range of social interventions being funded and delivered in Medicaid programs in both states. He found that health care organizations made investments in housing services, legal aid, food insecurity programs and other social supports for low-income patients—particularly those with overlapping health and social needs. Organizations used a mix of funding sources to support these programs, including reinvesting savings from Medicaid contracts into social services that would not otherwise be reimbursed by Medicaid. Local context played a major role in shaping the development of these initiatives—not least the availability of social services in the community to address patients’ unmet needs for housing, food and other basic resources. Significant gaps in social services for low-income patients were common in all communities we studied. The research provides lessons for policymakers and practitioners in both the US and UK as they seek to design new approaches to addressing the social factors that fundamentally shape people’s health. 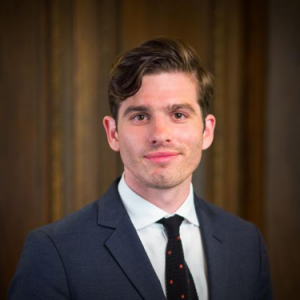 Since his return to London last month, Hugh has left The King’s Fund and joined the Health Foundation as Assistant Director of Strategy and Policy.